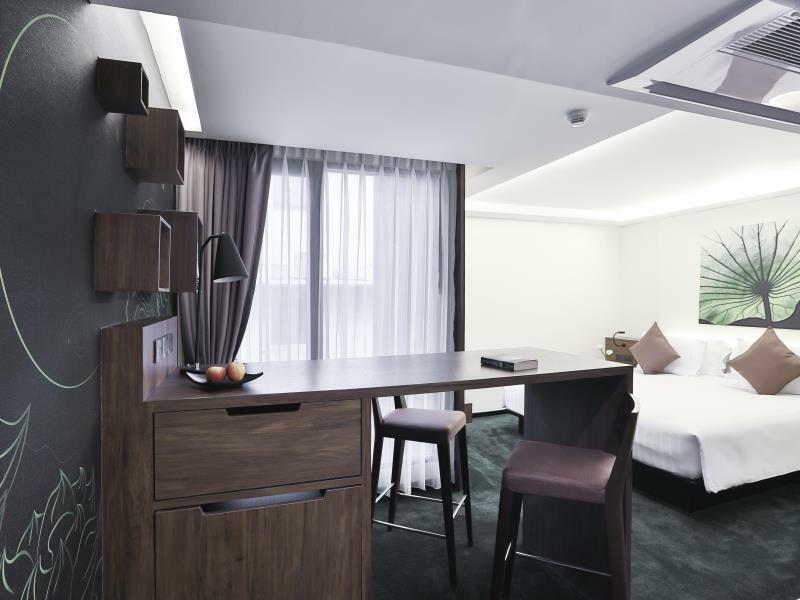 Heeft u een vraag voor U Sukhumvit Hotel Bangkok? 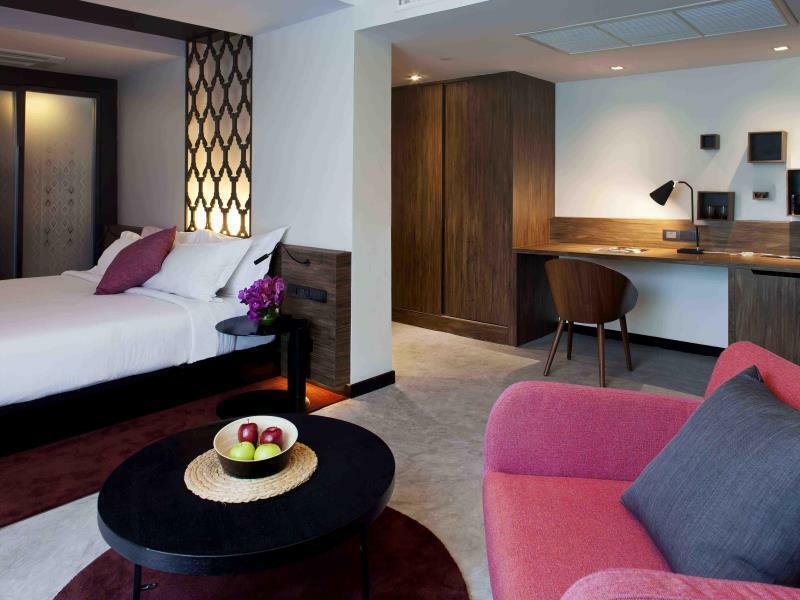 U Sukhumvit Hotel Bangkok in Sukhumvit, Bangkok is een populaire keuze onder reizigers. Op slechts 1 km gelegen vanaf het stadscentrum en 28 km van het vliegveld, trekt dit 4-sterren hotel jaarlijks vele reizigers. Dit moderne hotel ligt in de nabijheid van populaire stadsattracties zoals Ambassade van Mongolië, Saphan Asok Pier, Ct chinese tailor. 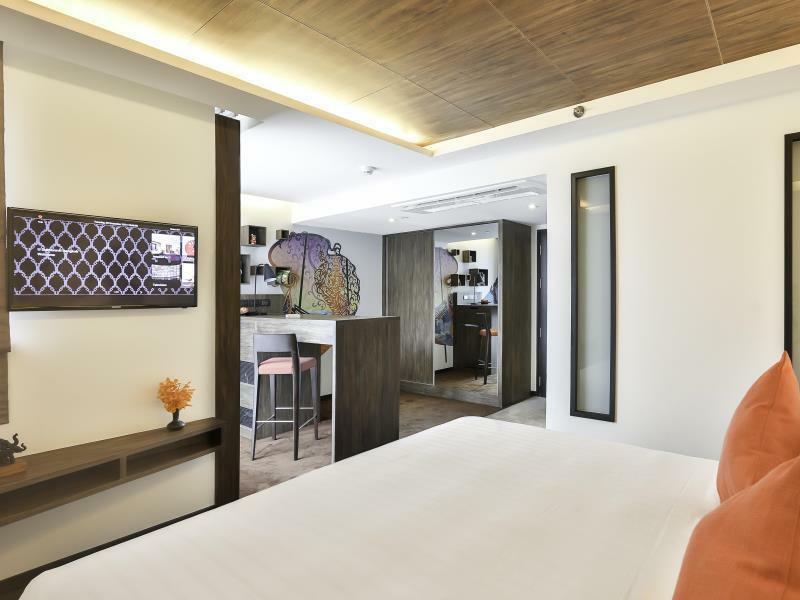 Het U Sukhumvit Hotel Bangkok biedt tevens vele faciliteiten om uw verblijf in Bangkok zo aangenaam mogelijk te maken. Terwijl u verblijft in deze geweldige accommodatie, geniet u van faciliteiten als gratis wi-fi in alle kamers, 24-uur beveiliging, dagelijkse schoonmaak, taxi service, rolstoelvriendelijk. Gasten kunnen kiezen uit 82 kamers, stuk voor stuk plezierig en comfortabel ingericht. Het hotel biedt geweldige recreatiemogelijkheden die uw verblijf onvergetelijk zullen maken, zoals fitnesscentrum, zwembad (buiten). 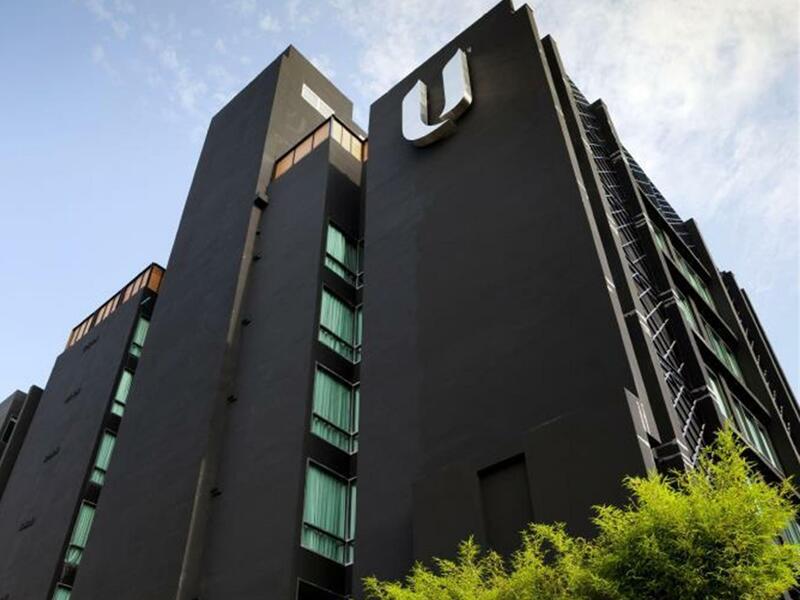 Wat de reden van uw bezoek ook is, het U Sukhumvit Hotel Bangkok is een uitstekende keuze voor uw verblijf in Bangkok. Gasten die in de Executive hoekkamer verblijven ontvangen 2 gratis mocktails bij het zwembad en een dagelijkse fruitmand. Nice & clean hotel. nice staff. good breakfast. Tuk Tuk shuttle to go to Terminal 21. the only problem, a little too deep into Khlong Toey & therefore too far from Suhkumvit Soi 15. Dear Bertrand, Greetings from U Sukhumvit Bangkok. May I begin by thanking you for choosing U Sukhumvit Bangkok for your visit to Bangkok and for taking the time to write a review. Your feedback is very important to us as it enables us to determine where we are meeting or exceeding our guests’ expectations and, just as importantly, attend to any issues they may experience during their stay. While you praised the majority of aspects of the hotel, I was disappointed to see that you felt we were a little far from the metro. 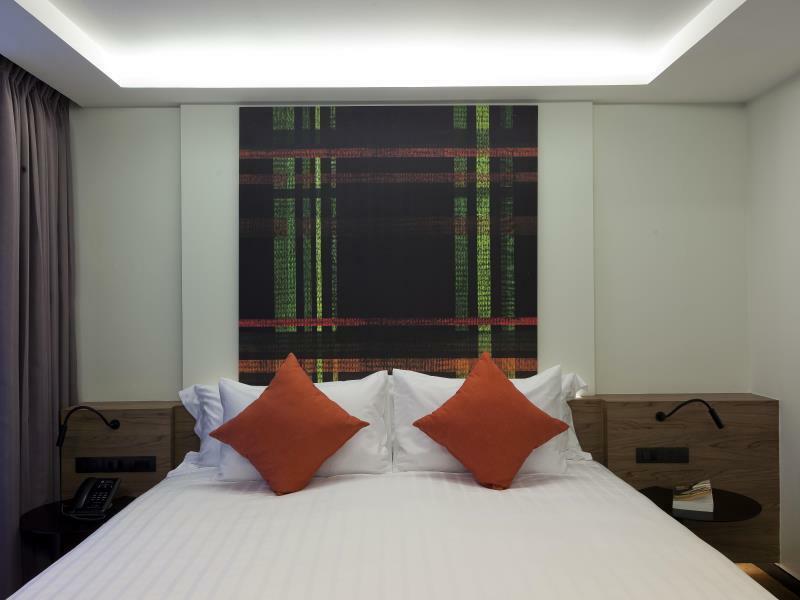 Most of our guests love the location of U Sukhumvit, as we are in a quiet and peaceful location, yet only minutes from the hustle and bustle of Sukhumvit, one of Bangkok’s premier shopping and entertainment districts. And with our free tuk-tuk service we make sure that our guests can get to the hot spots easily and quickly. May I end by saying that it was a pleasure having you stay with us and we hope to see you again in the near future. Best regards, Suratwadee K.
Perfect hotel, staff are super friendly and efficient, not is a problem, rooms are good, bed linen and towels excellent quality. Restaurant was very good, we had breakfast and dinner here and all was perfect, we will come again. staffs are helpful and deliver supreme services. they are very active. hotel room is very clean and comfortable. there are tuk tuk free service to the mrt . area to improve is the about the cleanliness of the water in the pool. This was the second time we stayed at U sukhumvit Hotel and it didn't let us down. It is one of the very few hotels that allow guests to keep their rooms for 24 hours (in fact i don't know any other hotel in BKK that offers the same) so you don't have to check out before noon. The room is well-equipped and size is okay. The rooftop pool is quite small but usually all one is in BKK for fun outside the hotel instead of inside. The breakfast is great and is served until 11am. Don't miss the egg benedict! My go to place in Bangkok. I love this place. Only pluses. No draw backs here as far as I'm concerned. Free shuttle to main road. Quiet location back down alley. Great staff. Good breakfast. Rooms are very eclectic and comfortable. I enjoy the way they have gone out of there way to create this vibe here. Like no other. Loved my stay here, the room was spacious and comfortable. Also loved the extra touches of fragrant handmade soaps. Best of all, the staff were friendly, helpful and extremely thoughtful -- as they helped me celebrate my girlfriend's birthday. The free shuttle service to and from Terminal 21 was excellent and prompt. Breakfast was also adequate with good coffee. I would stay here again. Wonderful rooftop pool area for relaxing and dining. Must spend at least one night happy houring and dining there. Definitely worth staying at if you are looking for a more homely stylistic stay than the usual commercial hotels around bangkok. Like the previous reviews, can only give a thumbs up. Our slight hiccup was with our initial checked in room: 516, which is located across the road to some construction work (not unusual in bangkok). Usually this wouldn't matter as the soundproofed windows would deafen the sound but the window in that room has a small gap so we were woken to the thundering sound of metal on metal after our first night. After requesting a room change, which the hotel were more than helpful in doing, we can only have good things to say. They also have a shuttle that goes back and forth to Terminal 21 which was very convenient to get out to the main road/BTS. Thanks for your hospitality! Beside the location, all is just fine with this hotel! 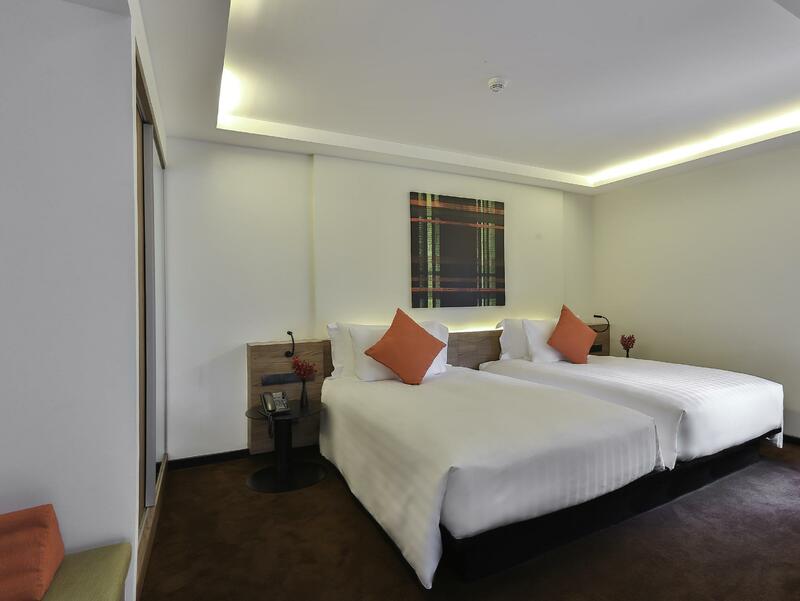 Room is clean and good size, internet works well, staff performance is very good, gym a little small, restaurant serve good food on a low price. Just another point for me as western are the many Chinese hotel guests! Quite annoying! But nowadays you can't avoid that anymore. Really enjoyed my stay at this hotel! The staff were amazing and could not be more accommodating and helpful! I enjoyed renting a bicycle to explore the neighbourhood too! The Tuk tuk service is great too! Again the staff at the U have done themselves proud, friendly, efficient and always there to help. This trip we stayed 3 nights and had dinner poolside one evening - superb !!!! The standard at this hotel under the management of Ms. Fortesque I see second to none - well done. I Love this hotel, very clean and service was great!! Staff always serve with smile. Very convenience with shuttle tutu all the time. Restaurant food was delicious!! very space hotel room!! **Bonus : free 2 sweet apple in the room every day!! The staff was incredibly nice, friendly, and helpful. The room was very comfortable and clean. The included breakfast had a lot of options and was quite tasty. My girlfriend and I had been on a 3.5 month trip around Asia and South East Asia. We spent most of out nights in budget hotels and hostels, but we wanted to have a nice comfortable hotel for our last few nights. The U Sukhumvit had great reviews and was a reasonable price for what it was. I highly recommend it and would go there again! Thanks! My wife and I had a wonderful time at U Sukhumvit over the week before New Year's 2016. The staff was attentive from the minute we walked into the lobby and we found our room to be appointed in a comfortable manner for our nearly week long stay. We will be staying at this hotel again when we travel to Bangkok. Our stay at U Sukhumvit was very good. The hotel have a good location and offer free transport to the BTS. The Room was nice and claean and the staff was very helpful and service minded.The price on the food in the restaurant was nothing to aruge about, it was good as well. The only thing I can complaining about that even was a big deal was that the door on the elevators took very long Before they opend. But overall a good hotell to stay at.